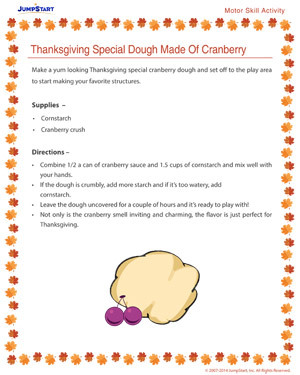 Dough playing is a great motor skill building activity for kids. Add a dash of Thanksgiving to the activity and it turns into an awesome Thanksgiving activity. Encourage the kids to play with the crumbly dough that will get made from the awesome activity and embark on a journey of fun and learning!